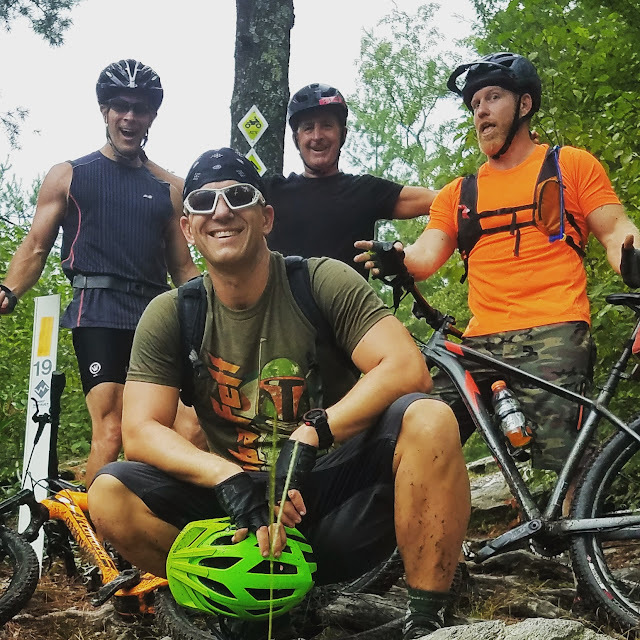 The mountain biking gods got together today and arranged it so that I could squeeze in a ride with Chris Keller this afternoon at Rocky Ridge. I really was on a time crunch so we tried to get in as much as we could. Today we decided to stay up on top of the park and not do a lot of climbing. With the temperature in the 90s again I was just fine with that. 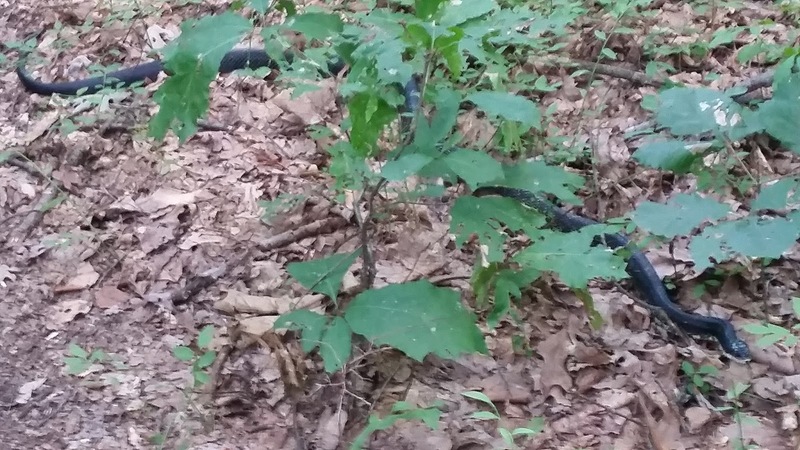 Chris and I estimated that this black snake was about 4 feet long! It was so big that I honestly thought it was a branch laying across the trail. Our ride today was only six and a half miles. The view from the top of the park was amazing. The highlight was the four foot black snake I ran over on my Stumpjumper. I honestly thought it was a branch lying across the trail until I saw it move in my peripheral vision as I rode across it. Let it be known that I HATE SNAKES. I must be getting better because I was willing to get off of my and go back to take a picture of it. A nice ride with a great friend.